For the guy looking for a simple but sturdy bike to coast around town, it seems like there have been two choices: affordable and ugly, or good looking and expensive. And that's just the aesthetics. What's a discerning gentleman to do? Look no further than the Flying Pigeon Classic. 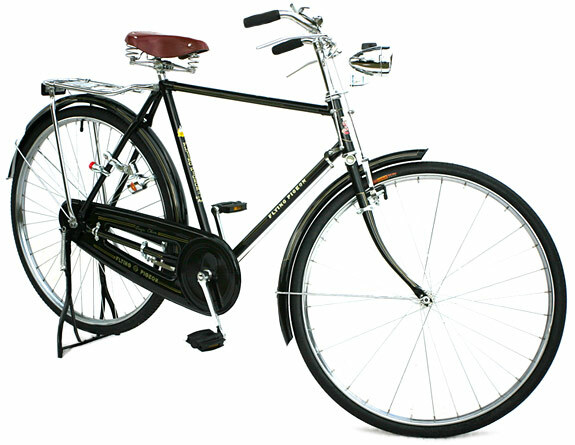 The all-steel, single-speed bike has been in continuous production in China since 1950 and is based on English roadster cycles from the early 20th century. With 28-inch wheels, fully covered chain and a leather saddle, they're built to last a lifetime. For decades, they've been the bike of the Chinese people. And like Ford's Model T, they come in one color—black. Imported to the States by Flying Pigeon LA, this model is outfitted with a dynamo front light, locking back wheel and storage rack. It ships for free, but it comes in pieces, so the shop suggests shipping it to your local bike shop for assembly. In the 1980s, the waiting list in China for a Flying Pigeon bike was at least two years.